Police officers have highlighted how 'heart-breaking' it is to see some farmers suffer from extreme loneliness and isolation. 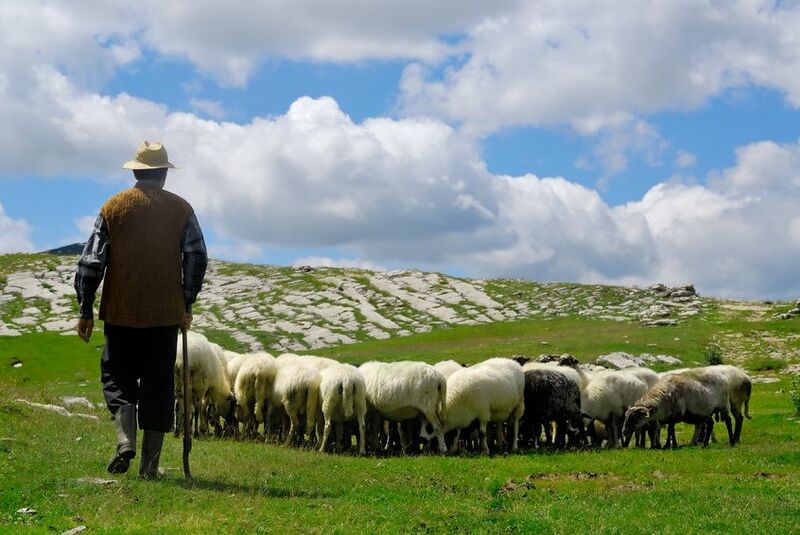 The issue of loneliness in the farming community has been highlighted by Dyfed-Powys Police, who have a small team of specialist rural officers. PC Gerwyn Davies and PCSO Jude Parr are working closely with mental healthy charity the DPJ Foundation. They have referred several farmers to the charity for counselling and mental health support. PCSO Parr recalls when he checked up on one lonely farmer. When he turned up to the farm, the farmer was 'almost in tears' because he thought 'nobody would care'. One of the biggest issues farmers face is loneliness, often caused by long and often unsocial working hours. The pair said the reaction they receive is often 'heart-breaking'. “We called to see one farmer because our PCSO had been told he was lonely,” PCSO Parr said. The DPJ Foundation was set up in July 2016 by Emma Picton-Jones following the death of her husband Daniel. It aims to break the stigma surrounding mental ill-health, and to support people in rural communities, particularly men in the agricultural society. PC Davies said farmers often struggled to access the support they needed. “A lot of mental health services are not set up for people in the rural community, who face unique challenges and will often keep their problems bottled up,” he said. PC Davies explained that he and PCSO Parr will be called to a property to deal with a policing issue, but while with the farmer, a bigger picture is established. “There was one farmer who had lost his mother – he was very lonely and not doing very well,” he said. “He had some health problems, but wouldn’t go to the doctors because he said he was too busy working. “We contacted the DPJ Foundation and they arranged for a nurse to go out and see him. They know farmers are busy, so they make arrangements for people to visit them at home,” he said. As well as living in isolation, other factors that can impact on farmers’ mental health are financial pressures, legislation, and the weather. And it is common for people to feel the effect of more than one of these at a time. “One of these would be difficult to deal with, but we come across farmers who are facing pressure from three or four different factors, which is too much,” PC Davies said. The Health and Safety Executive (HSE) has identified stress, depression and anxiety as some the main causes of work-related ill health for farmers. Last week, a week-long campaign which aimed to highlight the importance of mental health for those who work in the farming industry was launched.